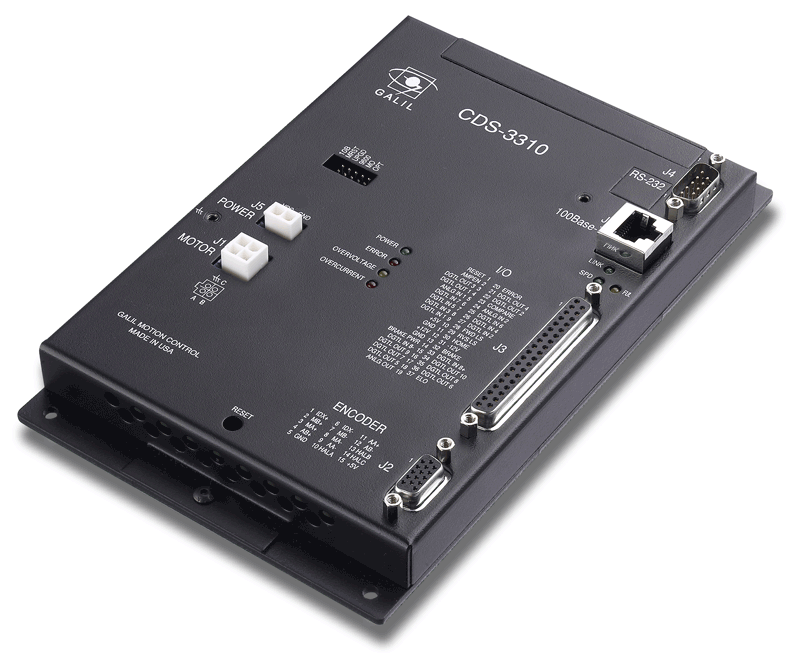 The CDS-3310 is a single-axis controller and drive system for precisely controlling a brush or brushless servo motor. It combines a high-performance, programmable motion controller with a 500W PWM drive in a compact, cost-effective package. 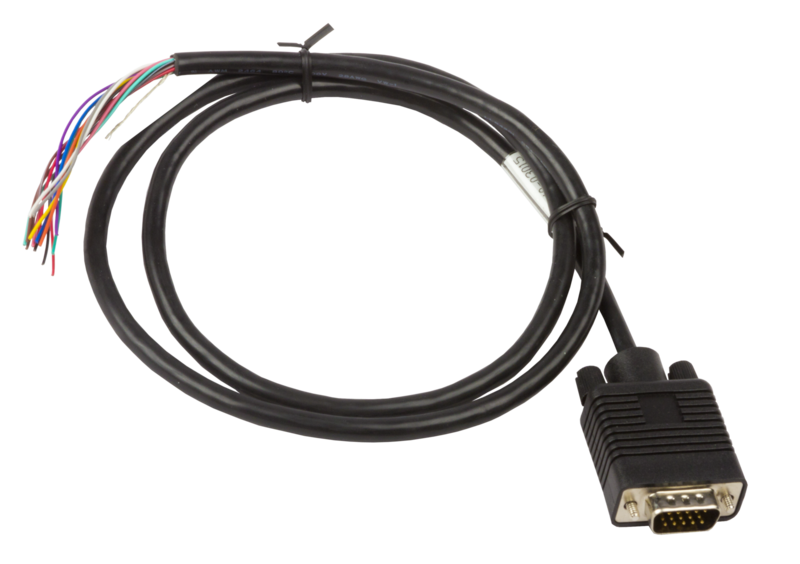 The CDS-3310 provides a 10/100 Base-T Ethernet port and up to eight individual CDS-3310 units may be connected on a distributed network and programmed as a single controller. The communication burden is minimized because the host PC only has to talk with the master CDS-3310, which in turn communicates with the other CDS-3310 on the network. Like all Galil controllers, CDS-3310 programming is simplified with two-letter, intuitive commands and a full set of software tools for servo tuning and analysis.